Tuesday, May 7, 2019, 1 – 1:45 p.m. 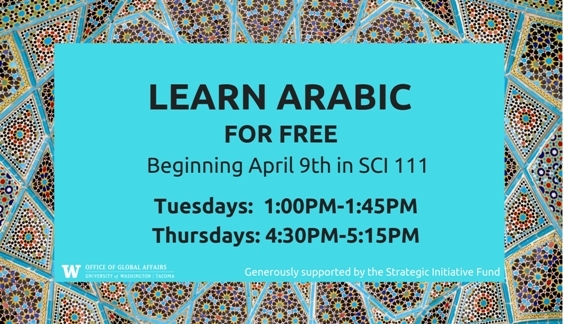 Learn Arabic in an informal setting and for free with student Maryam Al Darraji. Lessons on Tuesday and Thursday of each week will cover the same material.